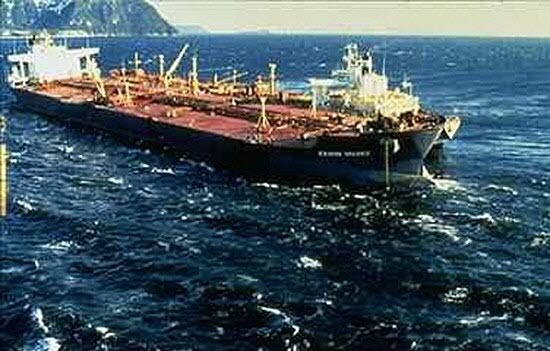 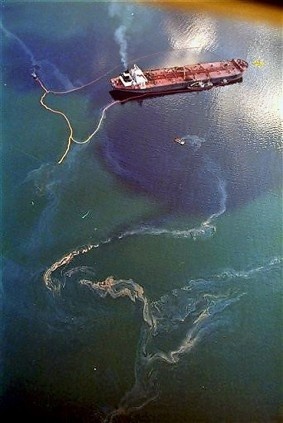 The Exxon Valdez oil spill occurred in Prince William Sound, Alaska, on March 24, 1989, when Exxon Valdez, an oil tanker bound for Long Beach, California, struck Prince William Sound's Bligh Reef at 12:04 a.m. local time and spilled 11 to 38 million US gallons (260,000 to 900,000 bbl; 42,000 to 144,000 m3) of crude oil over the next few days. 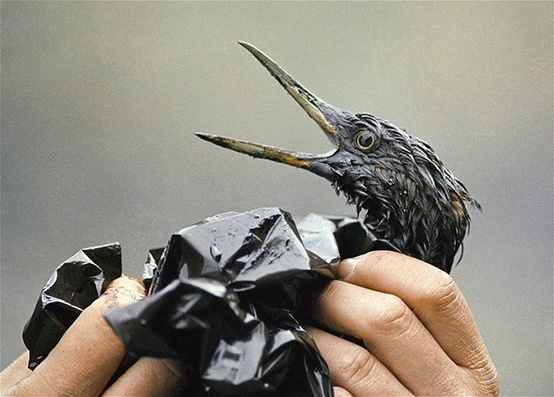 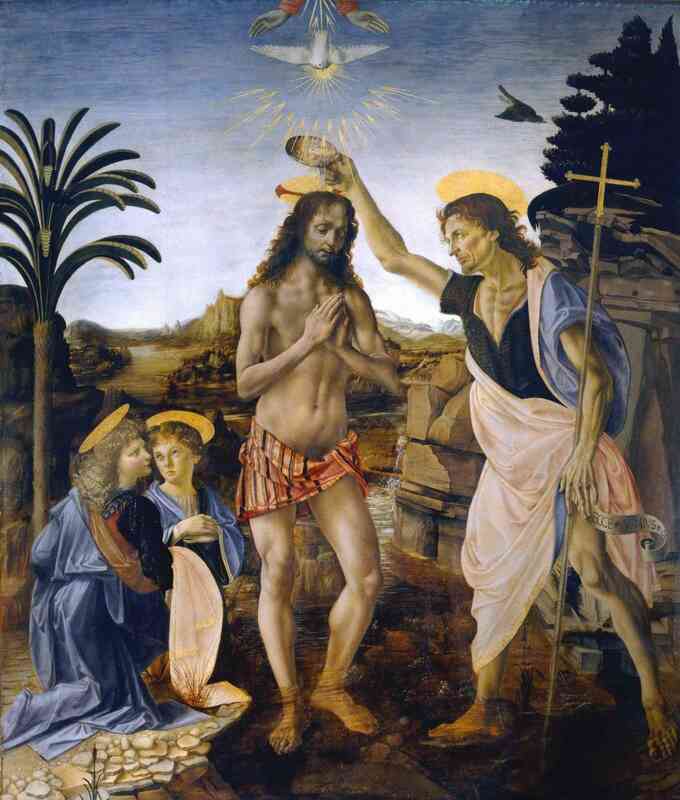 It is considered to be one of the most devastating human-caused environmental disasters. 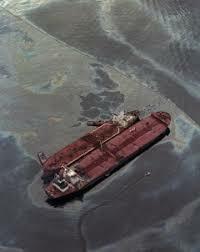 The Valdez spill was the largest in US waters until the 2010 Deepwater Horizon oil spill, in terms of volume released. 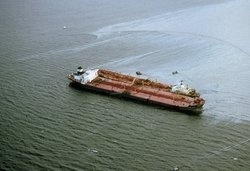 However, Prince William Sound's remote location, accessible only by helicopter, plane, or boat, made government and industry response efforts difficult and severely taxed existing plans for response. 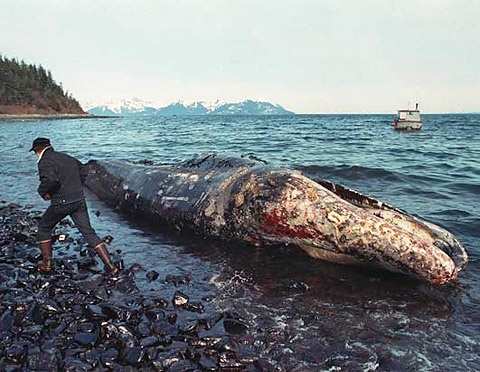 The region is a habitat for salmon, sea otters, seals and seabirds. 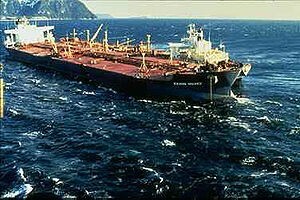 The oil, originally extracted at the Prudhoe Bay oil field, eventually covered 1,300 miles (2,100 km) of coastline, and 11,000 square miles (28,000 km2) of ocean.